Hot Wheels 1:18 ELITE Batmobile Differences? Are you going to do a parts set to fix the missing things (like the metal plates for the foot runners), and if so, is this post enough to get me signed up for the store? I have my Elite version on pre-order, and might as well make it look real nice after spending $80 on it. 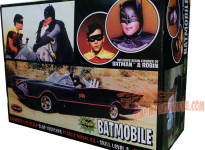 Hot Wheels Batmobile Rear Canopy Giveaway! 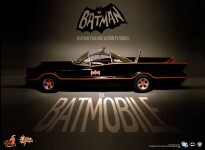 All site content ©pimpmybatmobile.com All rights reserved. Photos & other content may not be used without permission. "Batmobile" & all related names, characters, and indicia are TM & © DC Comics. All rights reserved. This unofficial fan-site is not authorized by DC Comics or Warner Bros.